On Friday, October 26, 2018, Peggy Joyce Marshall, loving wife, mother, and grandmother passed away at the age of 81. Peggy was born December 31, 1936 in Burlington, NC. A graduate of E.M. Holt, Peggy worked at Lorillard for 39 years. Peggy married Ernest Marshall on December 3, 1955, together they raised one daughter, Toni. 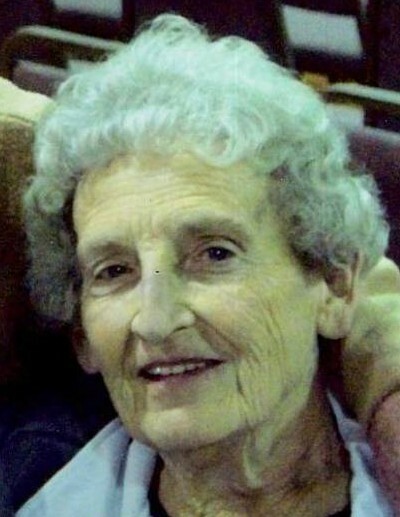 During her school years Peggy was a star basketball player and in later years would often recite a cheer from her school to her grandchildren, Bailey and Sydney. Peggy and Ernest were active at their church, Mt. Pleasant UMC, they went on several mission trips including Haiti and Puerto Rico. Peggy is preceded in death by her parents George and Louise McAbee. She is survived by her husband Ernest Marshall, her daughter and son-in-law Toni and Kenny Tickle, granddaughters and their husbands, Bailey and Donald Sample, Sydney and Brian Parrott. Also surviving Peggy are her brother and sister-in-law Hugh and Janie McAbee, and sister Patricia McAbee, sister and brother-in-law Hulda and JC Campbell, sister-in-law Gloria Collins, brother and sister-in-law Larry and Becky Marshall. The family would like to thank Liberty Hospice staff for great care especially, Veronica Clark. Funeral services will be held 2:00 pm Monday at Mt. Pleasant United Methodist Church with Ed Allred, Diaconal Minister and Pastor Tyler Gaulden officiating. The burial will follow at the church cemetery. The family will receive friends in the fellowship hall one hour prior to the service.